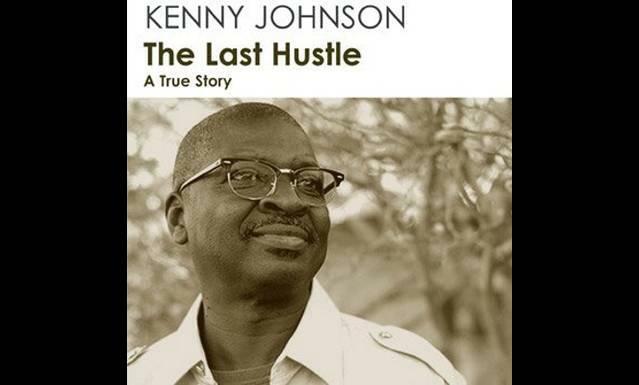 The Last Hustle is the unfalteringly honest autobiography of Kenny Johnson, a man who grew up in Kansas City with few opportunities and only alcoholics and criminals as role models. It was his destiny to become a hustler. The other day when browsing London’s most cosmic bookshop my girlfriend picked out an incredible book for me. It is called The Last Hustle. It is the unfalteringly honest autobiography of Kenny Johnson, a man who grew up in Kansas City with few opportunities and only alcoholics and criminals as role models. It was his destiny to become a hustler. Kenny describes in shocking detail the crimes he committed ranging from domestic violence and cocaine addiction through to fraud, bank robbery and pimping. In total he spent 23 years being churned in the vicious underbellies of various, grisly US penitentiaries. Towards the end, as people around him where losing their minds and he was fearful he would lose his, he made contact with a spiritual network inside a prison and began to meditate and search for freedom from within. He felt he was onto something; and then the spiritual guru Gangaji visited. Gangaji’s teacher was H.W.L Poonjaji whose guru Sri Ramana Maharshi is one of the great sages of the modern age teaching Advaita or non-duality. Gangaji helped Kenny to have a radically transformative awakening experience. Kenny spent the rest of his time in the joint in a state of extended bliss regularly being visited by other prisoners who got relief just by being near him. With the major monotheistic religions squaring up for the ultimate battle to prove whose ‘big daddy’ religion is superior ‘God’ gets pretty bad press these days so perhaps an intimate tale of spiritual transformation won't appeal to many. However, irrespective of the God part, a tale of being able to find not just peace but bliss behind bars is extraordinary and suggests there may be hope for the rest of us languishing in our own personal penal systems. The Last Hustle is an incredible story told by a man who has stepped from the darkest of places into the light only to find he hadn't moved at all. Ultimately his message is that we have freedom available to us RIGHT NOW. I like the sound of that and as you can see from the video below one of the results of his awakening is a predilection for sustained laughter. It got me thinking maybe we all could lighten up a bit.